Creating prom memories your kids will cherish for a lifetime is something every parent wants – but how do you ensure that the night is both magical and safe? 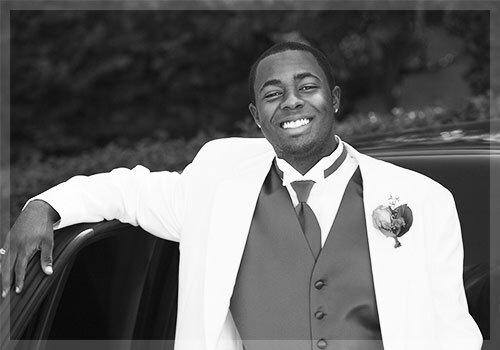 Call Executive Limousine about our prom limo rental service! We are Long Island’s premier provider of exceptional prom limo transportation for teens on their special night. Our highly trained and courteous chauffeurs go the extra mile and will treat your children with the utmost professionalism and politeness. Our Prom Limo Service Is Top Notch! Our Rides Are Designed to Create Memorable Experiences! You and your teen can choose any one of our Stretch SUVs, Limousines, or Prom Party Buses, all of which are equipped with state-of-the-art sound systems, flat screen TVs with DVDs, and fiber optic lights. When you sign up for a prom limo rental, you guarantee an unforgettable and magical evening for your teen and their friends. We absolutely do not allow alcoholic beverages in our vehicles, so you can feel relieved knowing that your teen is having good, clean fun. Our responsible chauffeurs take care of your teen while they have the time of their lives. Choose Executive’s prom limo services in Long Island for the next big high school or college dance, or homecoming celebration. We can help you choose the right ride and schedule the most efficient itinerary. Call us at (516) 826-8172 or toll free (888) 245-3556 to speak with one of the experts from our Reservation Department.